Country living minutes from Dubuque on 3.8 acres. 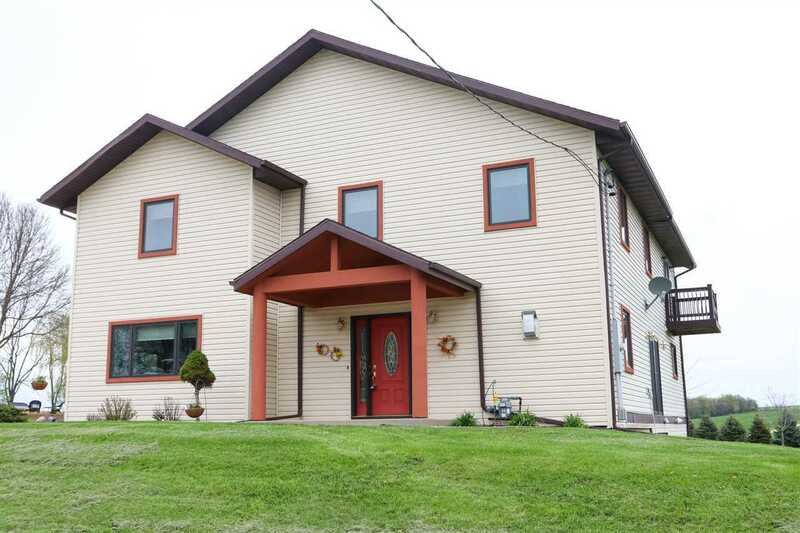 2 story completely remodeled beautiful home has it all. 4 beds, 3.5 baths, 3 car garage plus a 100 x 50 large steel out building and a additional shed. hardwood floors throughout. Updated kitchen offering granite counter tops, new appliances. Trim & wood work is hand crafted, every door is solid 6 panel. Heated floors, jet tub, and walk in shower in master suite Master closet is one of a kind. Gas fireplace in the den/office. Newly finished basement bathroom, with a room wired for theater room. Possible income for camper or motorcycle storage. Cuba city mailing address but off country road H located in Jamestown township.